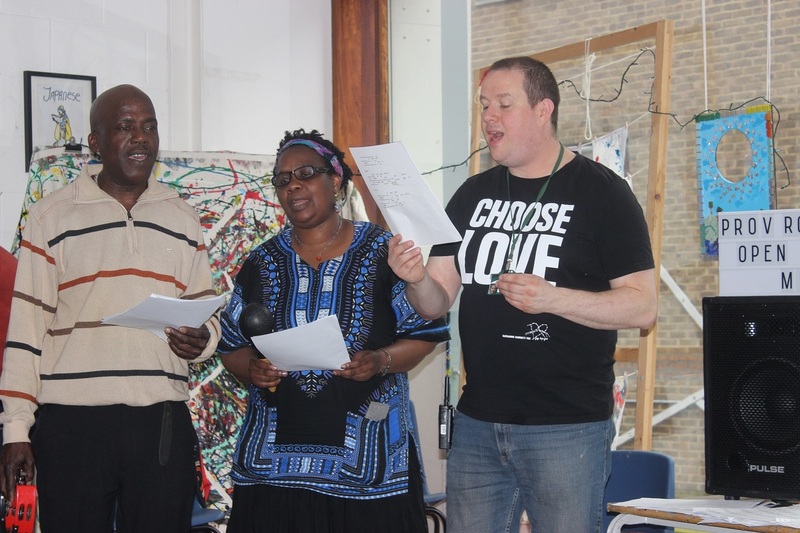 This World Music Day we would like to celebrate the power of music and share how music is making a difference for people affected by homelessness here at Providence Row. It can induce powerful emotions and tap into our past. Listening to songs from a time in our lives can evoke long lost memories and a nostalgia for a different time. Discovering new music or creating your own can also be an exciting and exhilarating experience. Music can be used as a therapy for people of all ages, who have been affected by an injury, trauma or disability and research has shown it can have a positive impact on mental and physical health. One study from the University of Gothenburg showed that members of a choir, when singing together, experienced a synchronising of their heart beats, leading to a sense of shared calm. Here at Providence Row we run a regular music group where people can join together to create music. It welcomes everyone, regardless of experience and encourages all participants to have a go at playing instruments and singing together as a group. Every Thursday afternoon, the sound of music fills Providence Row’s halls, and often visitors, other clients and staff will stop by to listen. It’s proven to be a great way to build friendships between music group members and confidence. There’s a lot of talent under our roof and our music group is no exception. Many have either discovered or rediscovered their musical talent through our music group. With this in mind we launched regular Open Mic Nights, run by our Wellbeing Coordinator Alex. They’ve been a fantastic way to bring people together, celebrate talent, and enjoy a good old sing song. For some, those few hours of music can reduce stress and provide comfort during a time of difficulty. “Music group is a wonderful creative space where people come to make, play and enjoy music. The different tastes in music really makes for sessions being full of energy and joy. Aside from being creative, the group have many a great discussion about styles and tastes!" “Music groups helps me to relax." “I am happy when I play music." “It helps me make friends." “Music group gives us mixed musical vibes with different styles for people of different ages and tastes." “Feel’s good. I love it." “Drums help me let out the stress." “The groups gives me the opportunity to be creative." "Music really allows people to let go." Our learning and wellbeing programme aims to give everyone that comes to Providence Row and opportunity to do something they love, from music to art and writing.